Company Introduction - Boyal Industrial Pte ltd.
Home > Boyal Industrial Pte ltd. Since 1959, Boyal Industrial has been committed to the research and development of “high-tech, precise, cutting-edge, specialized and special” bearings, and relevant products. Our products have been used for aviation, spaceflight, vessel, weapon, mining, metallurgy, wind turbine generator, machine tool, machinery, medical treatment, automobile, rail transport, etc. Our predecessor, Luoyang Bearing Research Institute, was the only first-class comprehensive research institute in China bearing industry. That is why Boyal Industrial accumulates and develops a large number of advanced competitive core technology. Possessing the first-class bearing design technology (design theory, design software, etc. ) and bearing testing technique (testing methods, testing means, etc. ), Boyal Industrial has set up a doctoral scientific research workstation, and a strong team full of domestic and foreign experts, whose main researches represent the technology developing direction of China bearing industry. As a leading role in multiple key disciplines, Boyal Industrial always provides comprehensive technology advisory services about bearing industry for national important decision-making departments. Our total assets have reached 1. 9 billion RMB. Boyal Industrial has one national research center and four industry parks, and covers 1 million square meters. We can carry out the batch production of various types of bearings from ID 0. 6mm to OD 6800mm and relevant products. We have established large-range quality control systems from miniature bearings to significant large bearings, and the system for electric spindle as well. All products and services passed ISO9001-2000 Quality Certificate. China National Technical Committee for Rolling Bearing Standardization. China Secretariat of ISO/TC4(Technical Committee for Rolling Bearings). Technical Committee of China Bearing Industry Association. China National Quality Supervision and Testing Center for Bearings. China National Accreditation Laboratory for Bearings. China Bearing Industry Professional Skill Appraisal Centre. China National Research Center for High-Speed Precision Bearings in Machinery Industry. China National Laboratory for the Bearings of Tunnel Boring Machines. China National Patent Exchange Center. China Doctoral Scientific Research Centre for Bearings. From 1958 till now, Boyal Industrial has successfully transformed from a comprehensive research institute to a science and technology listed company. Boyal Industrial was formerly known as Luoyang bearing research institute, which was founded in 1958 and was China’s only first-class comprehensive research institute in bearing industry. As it joined in China National Machinery Industry Corporation in 1999, the former institute was transformed into the science and technology enterprise. Having completed strategic restructuring, Luoyang Bearing Science & Technology Co.,Ltd.was established in 2001. 1958 Luoyang Bearing Research Institute was established. Air bearing, electric spindle operating at 60000r/min were born. 1960 The first batch of A23 precision instrument bearings, four kinds of high-speed precision bearing grade A were born. 1963 Nautical gyro meter ball bearings were born. 1966 Missile-used bearings were born. 1970 Computer station was founded. 1972 DZ series electric spindles for grinding were born. 1975 High-speed turbine dental bearing operating at 400000r/min, spindle bearings for precision machine tools were born. GDZ series electric spindles for grinding were born. 1983 Cryogenic bearing was born. 1984 Super-finisher for convex rollers was born. 1985 Instantaneous super high-speed ball bearings were born. 1986 National Supervisory and Inspecting Center of Bearing Quality was founded, one-way clutch bearing was born. 1987 Laser measuring instrument for roughness was born. 1988 General CAD software for bearing design with the copyright was born. 1990 Special thin section bearings, momentum wheels for control of satellite posture and its bearing were born. 1992 Ceramic ball bearing was born. 1993 Electric spindle with magnetic floating bearing was born. 1994 2GDZ series electric spindles for grinding were born. 1998 Electric spindle for processing center were born. 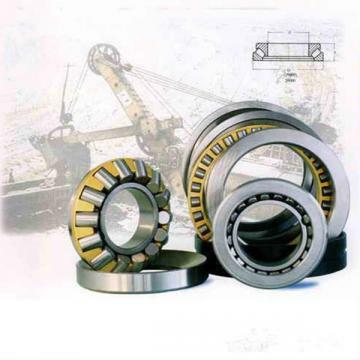 1999 Grease-lubricated bearing for high-speed with dmN=1.89Xmm·r/min was born. 2000 Speed-up electric spindle for machining center was born. 2001 Saloon car bearing tester was born. Luoyang Bearing Science and Technology Co., Ltd. was set up from Luoyang Bearing Research Institute. 2002 Automatic production line for precision ball bearing grinding and super-finishing was born. 2003 Bearings for Shenzhou capsule No.5 were born. 2004 Bearings for new environmental protective motor air-condition were born. 2005 Bearings for Shenzhou capsule No.6 were born. 2007 Bearings for chang’e satellite No.1 were born. 2008 Bearings for Shenzhou capsule No.7 were born. 2009 Bearing for large thrust engine were born. 2010 Bearings for Tiangong-1 space station were born. 2011 Bearings for Shenzhou capsule No.9 were born. 2012 Bearings for Shenzhou capsule No.10 were born. Boyal Industrial warrants that parts manufactured by its suppliers will be as specified and will be free from defects in material and workmanship. Boyal Industrial's liability under this warranty shall be limited to the repair or replacement, or the repayment of the purchase price, or the granting of a reasonable allowance of any part which upon return to the manufacturer is found to be defective at the time of shipment, provided buyer notifies Boyal Industrial of any such defect within 10 days of its discovery, but in no event later than 90 days from date of shipment. Boyal Industrial reserves rights of inspection to verify that parts claimed to be defective have been properly mounted, housed, and lubricated by the buyer, and that such parts have not been subjected by the buyer to improper alteration or abuse. Every industry has its unique challenges, but virtually all industries share the goals of increased machine uptime, reduced maintenance, improved safety, energy savings and lower Total Cost of Ownership. With expertise in a wide range of disciplines and decades of experience as a technical partner to both equipment manufacturers and end users in every major industry, Boyal Industrial is delivering not just products but total integrated solutions that help our customers achieve their goals. Close cooperation with equipment manufacturers and industrial end users has given Boyal Industrial a unique understanding of the interaction between asset components and industrial processes. Today, we are leveraging this knowledge to provide value at every stage of an asset’s life cycle. Boyal Industrial Management is our proven approach to optimizing equipment design and operation over its entire service life cycle. Proven effective in our own factories worldwide, SKF solutions are also proving valuable to Boyal Industrial customers worldwide. Consultancy experience in manufacturing and process industries. Industry-leading expertise in application engineering and condition monitoring. Manufacturing experience and knowledge of rotating machine reliability. Boyal Industrial has combined all of it to form a uniquely comprehensive range of strategic and tactical services that connect you to our people and knowledge to solve your problems and deliver improvements. We start with a proven assessment process to identify plant improvement opportunities and develop solutions. The objective is to incorporate your business goals, application challenges and organizational culture into a road map for improving reliability. We then apply our proven Asset Efficiency Optimization (AEO) methodology to develop solutions that will enable your assets producing more without increasing capital spending on new equipment, ultimately increasing your return on assets. Available worldwide, reliability engineering services from Boyal Industrial can help your operation develop strategies and tactics to achieve bottom-line results. Manufacturers today are under tremendous pressure to provide the highest possible quality at the lowest possible cost. Therefore, achieving maximum machine reliability is critical. The profitability of all manufacturers is reliant on the skills of its personnel and how employers’ and industry support these personnel to fulfill their potential. Why Boyal Industrial for reliability maintenance training? Our training courses are backed by over 100 years of experience and knowledge of rotating machine reliability that is unmatched in the world. Close working partnerships with our clients have given us a unique and intimate understanding of the processes and challenges specific to every major industry. Boyal Industrial can also assist by conducting a Training Needs Analysis online assessment to map your personnel’s current competencies in a variety of areas and is designed to identify areas where employees’ skills are deficient in order to improve plant efficiency. Boyal Industrial courses focus on enhancing the efficiency of plant machinery and equipment assets, which are the very heart of the production process. The course portfolio follows a blended learning approach using an array of methodologies such as e-learning, classroom, practical exercises and onsite mentoring to reach the learning objectives.